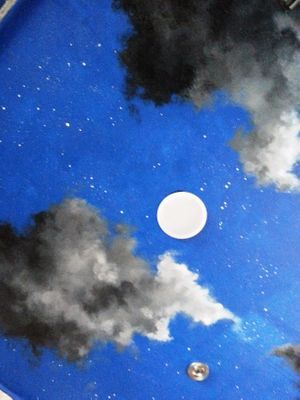 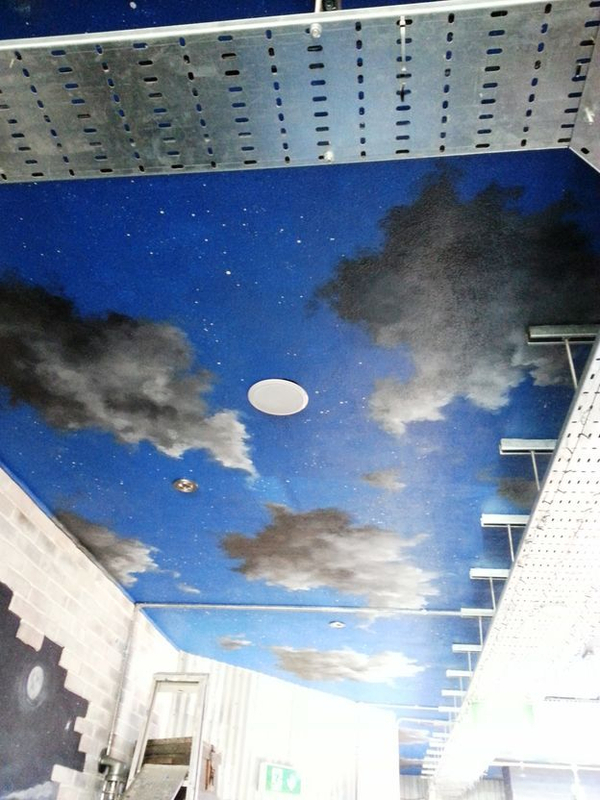 This starry, cloudy, night-time sky mural was painted in three days for the Fireball Pizza Company in Bromley. 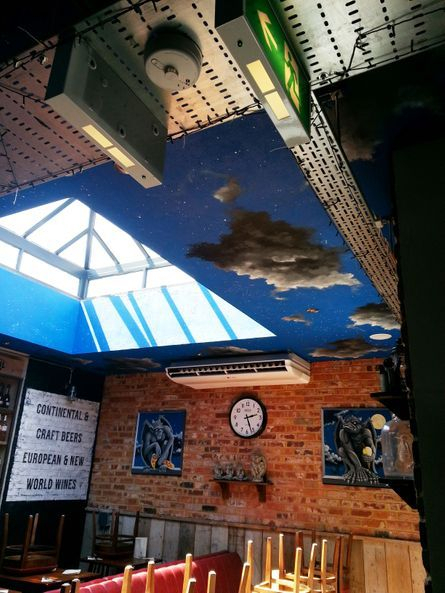 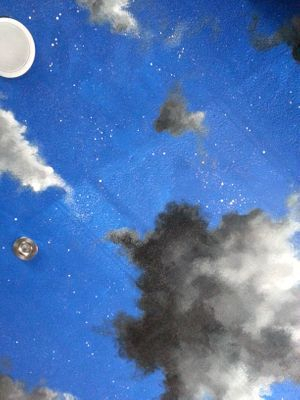 They had already had the ceiling painted a midnight blue, so we were able to come in and get to work straight away painting hundreds of stars and some moody clouds. 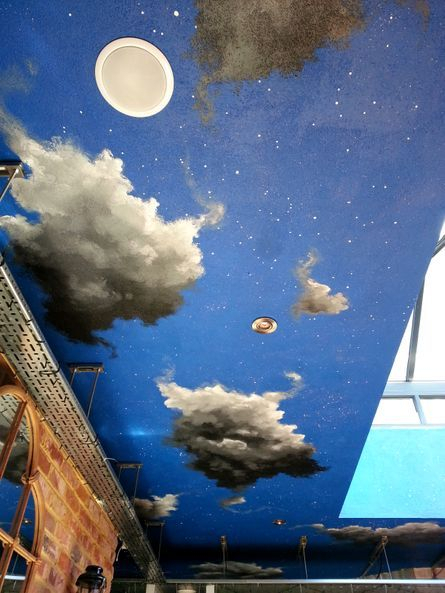 We had previously painted some Gargoyles on boards for them that were fixed to one of the walls in the restaurant, so we painted the light on the clouds as if it was coming from the moon behind the gargoyles.